An analysis of the interaction patterns in an online conference from a distance education graduate course was conducted, using an approach that focused on the transcript's interactional and structural features. A new tool for transcript analysis, the TAT (Transcript Analysis Tool), was used to analyze interactional features, while structural elements suggested by social network theory were examined. Analysis of the patterns of interaction in the conference showed interaction was variable, and that while all participants were engaged, intensity and persistence of participation were unequal among individual participants in several ways. The TAT showed the proportions of five major types of sentences in the transcript, corresponding to different modes of interaction (questions, statements, reflections, engaging comments, and quotations/citations). The findings showed that the TAT seemed to relate usefully to other work in this area, and that social network principles were valuable in the analysis of conference interaction. Fahy, P., Crawford, G. & Ally, M. (2001). Patterns of Interaction in a Computer Conference Transcript. 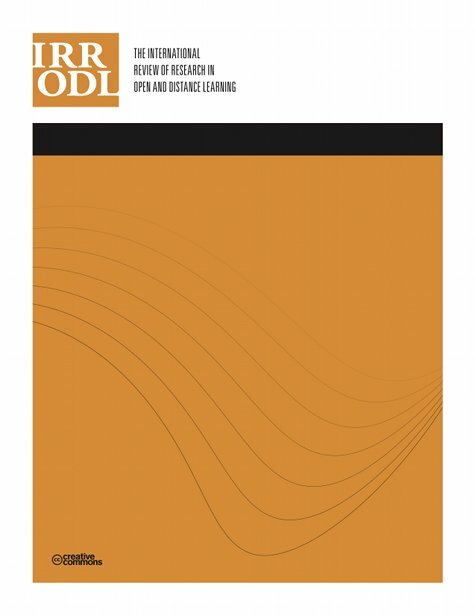 The International Review of Research in Open and Distributed Learning, 2 (1),. Athabasca University Press. Retrieved April 24, 2019 from https://www.learntechlib.org/p/49118/. Abrami, P. & Bures, E. (1996). Computer-supported collaborative learning and distance education. The American Journal of Distance Education, 10 (2), 37-42. Anderson, T. & Garrison, D.R. (1995). Transactional issues in distance education: The impact of design in audioteleconferencing. The American Journal of Distance Education, 9(2), 27-45. Berkowitz, S.D. (1982). An introduction to structural analysis. Toronto: Butterworths. Burt, R. (1983). Distinguishing relational content. In R. Burt & M. Minor, Applied network analysis (pp. 35 – 74). London: Sage Publications. Collins, A. (1996). Design issues for learning environments. In S. Vosniadou, E. De Corte, R. Glaser, & H. Mandl (Eds. ), International perspectives on the design of technology-supported learning environments (pp. 347-361). Fulford, C.P. & Zhang, S. (1993). Perception of interaction: The critical predictor in distance education. The American Journal of Distance Education, 7 (3), 8-21. Garrison, D.R. (1989). Understanding distance education: A framework for the future. New York: Routledge. Garrison, D.R., Anderson, T., & Archer, W. (2001). Critical thinking, cognitive presence, and computer conferencing in distance education. The American Journal of Distance Education, 15 (1), 7-23. Gibson, C.C. (1996). Collaborative learning in action via computer mediated conferencing. In Proceedings of the 12th Annual Conference on Distance Teaching and Learning: Designing for Active Learning, (pp. 121-125). Haughey, M. & Anderson, T. (1998). Networked learning: The pedagogy of the internet. Montreal: Cheneli`ere/McGraw-Hill. Henri, F. (1992). Computer conferencing and content analysis. In A. Kaye (Ed. ), Collaborative learning through computer conferencing: The Na jaden papers (pp. 117-136). Berlin: Springer-Verlag. Levin, J., Kim, H. & Riel, M. (1990). Analyzing instructional interactions on electronic message networks. In L. Harasim (Ed. ), Online education (pp. 185 – 213). New York: Praeger. Ridley, C. & Avery, A. (1979). Social network inﬂuence on the dyadic relationship. In R. Burgess, & T. Huston, (Eds.). Social exchange in developing relationships. (pp. 223-246). New York: Academic Press. Rourke, L., Anderson, T., Garrison, R. & Archer, W. (1999). Assessing social presence in asynchronous text-based computer conferencing. Journal of Distance Education, 14 (2), 50-71. Rytina, S. (1982). Structural constraints on intergroup contact. In P. Marsden& N. Lin (Eds. ), Social structure and network analysis, (pp. 81 – 100).